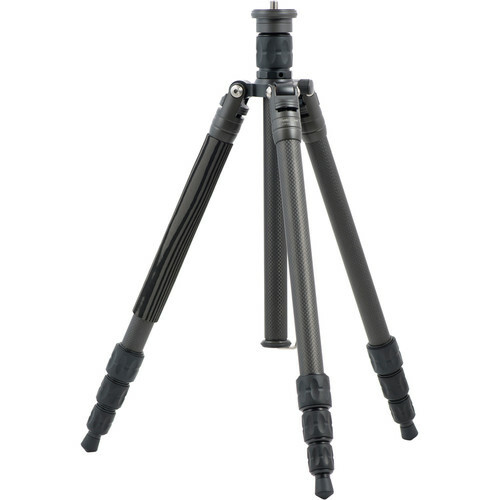 The PTC 1340C Compact Carbon Fiber Tripod from Photo Clam is a lightweight support weighing 2.4 lb that can hold up to 39.7 lb and reach a maximum height of 56.2". With the center column removed, it reaches a minimum height of 2.8", and can fold down to 16.7" when its legs are reverse-folded. 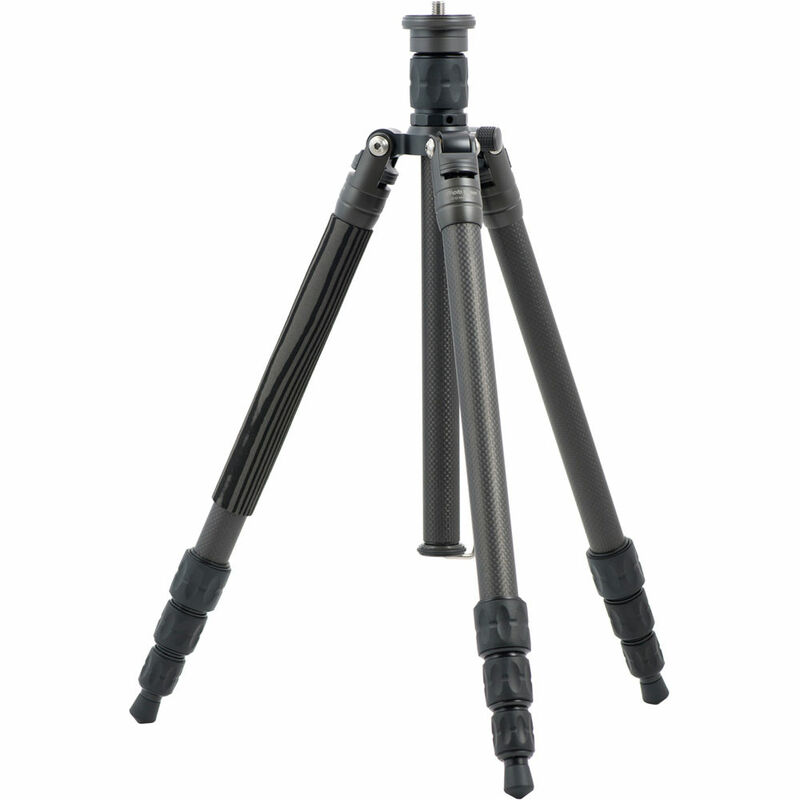 A 3/8"-16 threaded screw allows you to add your choice of tripod head to these legs. The four leg sections are secured via twist locks and are independently adjustable. A foam grip on one leg provides added comfort, rubber feet keep the tripod stable on a variety of surfaces, and a ballast hook on the center column allows you to add weight for additional stability. Box Dimensions (LxWxH) 23.9 x 5.2 x 4.8"
Can this tripod be used with a ball head without the center column being in the tripod? For enabling low angle shots. The tripod has a built in low angel adapter which allows you to use the head without the column.